White Fang is the inspiring epic of a wolf-dog born in the harsh, brutal climate of the Arctic. His struggle to survive in the wilderness becomes a testament to his power, strength, and intelligence. When he is taken from the wild into a camp of Mackenzie Indians and later sold into the possession of a malevolent, insane monster, it will require all of his cunning, prowess, and ferocity to endure the violence and hatred that define his existence. It is not until he is 5 years old that White Fang encounters the gentle, nurturing side of humanity. 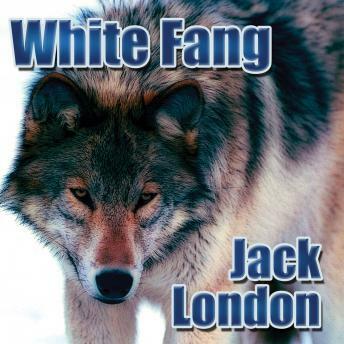 Will White Fang, tormented into becoming a vicious, merciless killer, be able to find redemption and love or will he ultimately have to be destroyed?